We (Gary and Jonathan) had a wonderful time while we were there and managed to record four special episodes. Our final conversation is one of our favourites. 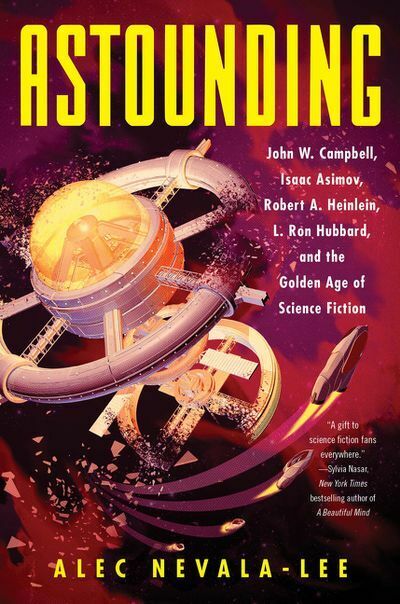 Alec Nevala-Lee's Astounding: John W. Campbell, Isaac Asimov, Robert A. Heinlein, L. Ron Hubbard, and the Golden Age of Science Fiction is a fascinating and probably definitive examination of Astounding, John W. Campbell and the writers who made up that time. Andy Duncan, a long-time friend of the podcast, also just published "New Frontiers of the Mind", his first story for Analog (successor to Astounding) which examines the connection between Campbell and Rhine. Both Alec and Andy sat down with us in San Jose to discuss Campbell, Astounding, and their own work. As always, we'd like to thank Alec and Andy for making time to talk to us and we hope you enjoy the conversation!